We typically recommend Indian people to use Ewallets when making deposits because credit cards can be so difficult to use. 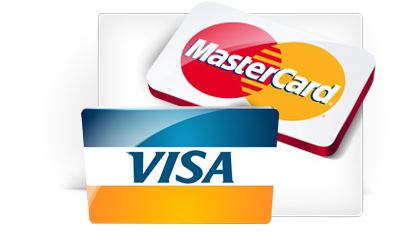 Most times the bank or the casino will not allow the credit card to be used. Even if your card works once, it may not work the next time you try. The only exception to this is with Royal Panda which we have been told have 100% success rate with credit card deposits for Indian customers. Although many Indians stick to the ‘cash’ way society credit cards are becoming more popular and so to is it with betting. Betting sites take all of the security precautions that can be found at ebay, yahoo, etc, including digital encryption and other technology to protect the information from thieves. 1. Open the banking window at your preferred betting site and choose ‘credit card’. In this case we are using Royal Panda cashier for our example. 2. Choose the amount you wish to deposit, or click “own amount’ and enter a custom amount. The minimum deposit at Royal Panda is 1000 INR. 3. You will be notified of a pending transaction, simply click ‘continue’ to proceed. 4. Next, like all online credit card transactions, you will be required to provide your card number, account name (as it appears on the card), applicable start and expiration dates, issue number and Card Security Number. Of course, also enter the amount you wish to deposit and any offer codes. Finally, enter your password for the betting site if required. 5. Read the T&C and Privacy Police. Then check the box if you agree to them. Click ‘complete purchase’. You can expect your funds to be immediately playable with a credit card deposit. Aside from having insufficient funds or credit available, cards are declined by the bank, not the gambling site. If a bank in India believes that the funds are going to be used for gambling they block the card from being used. This should rarely occur with Royal Panda. Each satta site is different. Some code their transactions falsely; for example the INR 5000 deposit you made might show up as “return of funds” or something strange. Essentially the gambling site has hidden what the transaction was used for, and therefore, was successful. This is illegal for the Satta site to do but it is done daily by millions of players for which is it not illegal for the customer if done so within INR. That is our personal opinion after studying the the gambling laws of India for the past 3 years. We are not lawyers and no case precedence has been set, but it is very, very, very unlikely that anyone will ever be even fined for betting online in India.